Plastic Metallization Samples, Customized Tooling, EMI Shielding | VTI Vacuum Technologies, Inc. Since it is typical for components or devices to be uniquely shaped and proprietary to your project, each will require custom tooling for it to be metalized or gasketed in volume. And with project budgets being tight, there is not a lot of room for trial-and-error during the development stage. This is a major difference between VTI Vacuum Technologies Inc and our competitors: we have three levels of product realization that are available to help you meet your goals. Sampling level. At this level we will provide you with a small plaque that has been processed with either our vacuum metallization or Form-in-Place gasketing, or a combination of both. The plaque is made from a standard PC/ABS blended resin. There is no cost to you for a metalized plaque. For a gasketed plaque, there might be a low cost to you, depending on the gasket material you select. Do you have a sample enclosure you would rather see processed? Send it to us as well so that you have the most accurate representation for your testing purposes. Concept level. This applies to our metalizing services and is not always necessary for product realization. At this level, after we have provided you with samples of our service that meet your needs, you might want additional parts made for qualifying tests or marketing purposes. If so, we will build a scaled-down version of the production tool to demonstrate its capabilities. Then, you can process a few more parts and make any necessary changes without the worry of a large tooling commitment—or the cost associated with having to revise the tool. And while the piece price for a part processed on a Concept tool is more than for one processed on a production tool, there is no cost to you for our building and maintaining the Concept tool. Production level. When you are ready to go to production—at low cost to you—we will build the necessary production tooling & fixtures needed to process your parts. 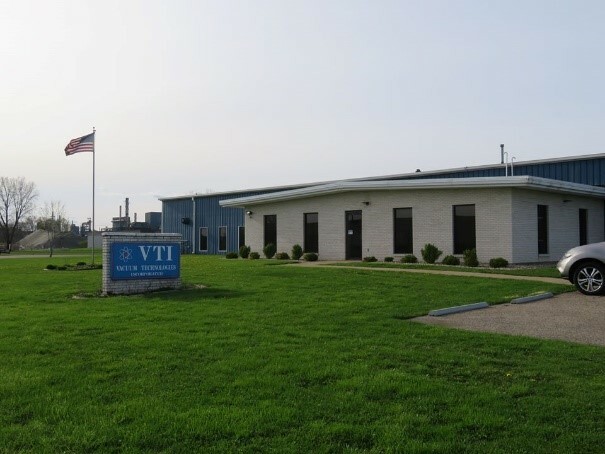 VTI Vacuum Technologies Inc. will retain ownership of the tooling and fixtures, which we will maintain for the life of the project at no additional cost to you. If your project should require a design change that impacts the tooling & fixtures, there may be a small cost to you for the modifications. The production piece price is the price you pay, and no tooling costs are amortized into it.